Most of the reviews I post here are reviews of items I've received from companies, simply because companies send me things - there's no sense in me spending money to review something I might not like, use, or need, if someone's willing to ship it to me, right? But sometimes I review things I bought, usually because I like the item and want to tell you about it. I have a few of those coming. After I get through everything else ... a big pile of everything else. I'm getting to it, I promise. But first, let me tell you about the grocery store. Did you know that most people at the grocery store need something from the dairy section? It's completely logical. Dairy items spoil, so no one's going to stock up on 6 weeks worth of milk and stick it in a closet. Sure, cheese and eggs and butter last a while longer, but those are things we know are always going to be at the store when we need them, so we know that when we run out of dish soap or we need some scallions for a recipe, we can cruise to the dairy aisle to get that vat of cream cheese. 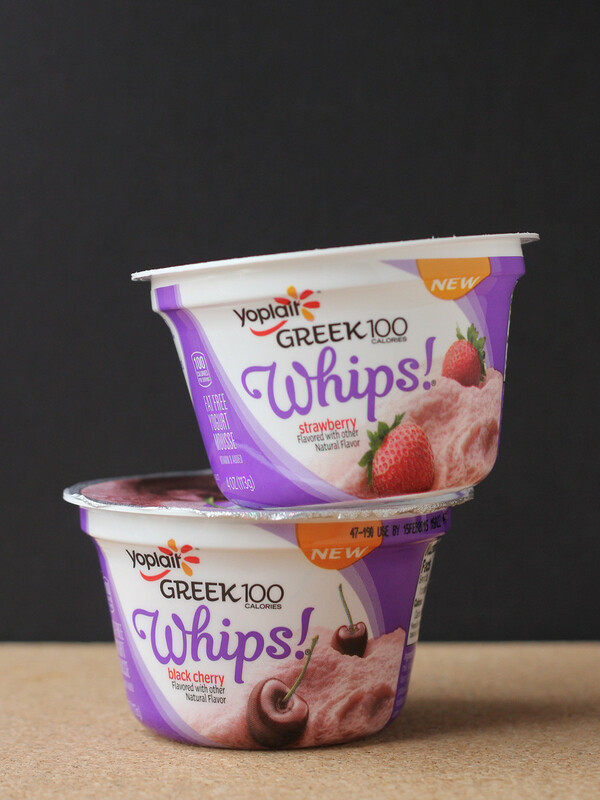 A week or so ago, I was looking for something on the Yoplait website, and I noticed they had a new style of Greek yogurt called Whips. Hmmm. I hadn't noticed at the store. I liked their other flavored Greek yogurts, so I figured I'd pick up some of the Whips on my next excursion. This week, they had strawberry and black cherry, so I picked up one of each. This is the first truly new yogurt idea I've seen in a while. I mean, we've got fruit on the bottom, fruit on the top, fruit in the corner, fruit mixed in ... but it's just yogurt and fruit. This is a whole new texture for yogurt. It's fluffy, whipped, frothy Greek yogurt that's more like mousse than a dense Greek yogurt. Now, don't get me wrong. I love thick Greek yogurt. But this was completely different. It was ... light. And while it was delicious all on its own, I can envision some interesting super-quick recipes using this stuff. I mean, it's just waiting to be a parfait, layered with fresh fruit in the summer. Or spooned into little phyllo cups for a one-bite dessert. Or ... hmmm ... I'm sure I'll think of some others. A friend of mine mentioned that there's a chocolate flavor that tastes like chocolate cheesecake. I'll be stalking the grocery store aisles looking for that one. If you're a fan of yogurts in general, and you like the texture of mousse, I suggest you give this one a try. Seriously. Now pass me a spoon. This is NOT a sponsored post. I was not contacted by Yoplait to write this, and I was not paid or encouraged. I bought the product with my own money. While I have worked with Yoplait on sponsored posts in the past, I have also worked with other yogurt company, so I was not unduly influenced by past associations. I've tried a lot of yogurt brands, and this is one that I happen to like more than some of the others. Yes, I've been MIA, but I decided to pop back in with a fun giveaway - Looly's Couscous . I received some samples, but so far I've only cooked the Thyme/Turmeric version. And, hey, it's couscous that tastes herby. The colors are fun - dark and light - so it makes an interesting side. And this couscous couldn't be any easier to cook. Just add an equal amount of boiling water, stir, cover, and wait five minutes. Fluff with a fork, and you're ready to go. A perfect side dish when you have no time to even peel a potato. But of course, you can add stuff to the couscous to make it even more interesting. Add some chopped onions, fresh herbs, goat cheese, chicken broth, tomatoes ... pretty much the sky's the limit. But wait, do you even know what couscous is? A lot of people think it's a grain, but it's actually a teeny-tiny pasta shape. The first time I tried it was when I was in my 20's in Morocco. Well, not really Morocco. It was actually at Epcot. In a restaurant in the Morocco area. I had no idea what couscous was, but after we got home, I figured it out. This is a bowl of cooked couscous. You get the uncooked couscous, not the bowl. So anyway, Looly's makes regular couscous and a gluten-free version, and I'll be giving away the same salad couscous I got, flavored with thyme and turmeric, as well as their breakfast couscous, flavored with cinnamon. I've never thought of couscous as a breakfast item, but it makes as much sense as flakes of corn or hot oatmeal. Looly's wants you to know that they're "an innovative impact-driven healthy food start-up reinventing ancestral food and turning it into a trendy and Zero-Compromise™ Food Category. 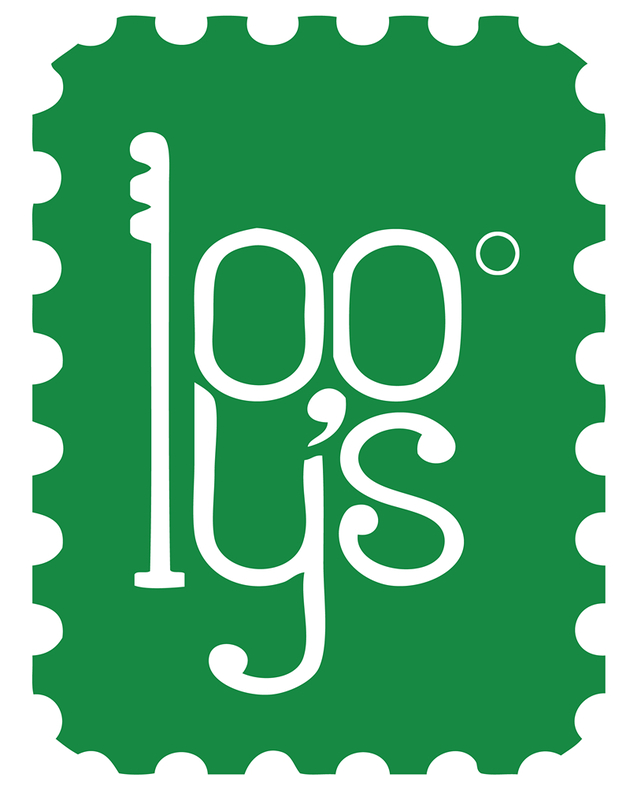 LOOLY'S products are Healthy (Unprocessed, High Protein, All-Natural, Gluten-Free), Tasty (based on traditional genuine recipes with a modern twist), Diet (Low Calorie), Convenient (ready in a few minutes, and, 'Boy! We have patented it!') while having a tremendous measurable and transparent Social Impact on the LOOLY’S artisans who handcraft it." No, really, that's what they say about themselves. Me, I'm just here for the flavor. One winner will receive one bag each of the two flavors. It's not as good as a trip to Morocco, I'll admit it. But you don't need a passport. Note: Looly's provided product for me and will ship product to the winner at no cost to me. I made it a rule that I wouldn't write about any products that I hadn't actually tested, but when I saw the Trivae, I decided that if I made the rules, I could certainly break them whenever I felt like it. Trivae is a trivet, but it's not your usual trivet. 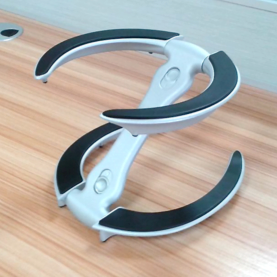 It folds and twists and contorts itself into different configurations. Well, it doesn't contort itself. Not like some sort of self-propelled robot. You twist it into several configurations for smaller items, larger items, or items that you want to elevate off the surface of the table. You can also use it to hold pot lids upside down so they don't drip on the counter. I already have a few trivets, but I like this for holding large cookie sheets. Right now I tend to use cooling racks, which is fine if I'm not baking a lot. But if I'm doing a whole lot of baking, I need my racks for the baked goods and not just for holding the hot baking pans and cookie sheets. And, unlike some other trivets, this is attractive. It will come in different finishes with different colors of silicone for the grippy portions. Trivae isn't available now, but it should be for sale soon - it's on Kickstarter and has already surpassed its goal, but there's still time to add your funds and get your rewards. There are some videos and more photos on Kickstarter that will give you a better idea of how it works - and if I get my hands on one, I'll have a final review here. What do you think? Is it worth funding? Worth buying? 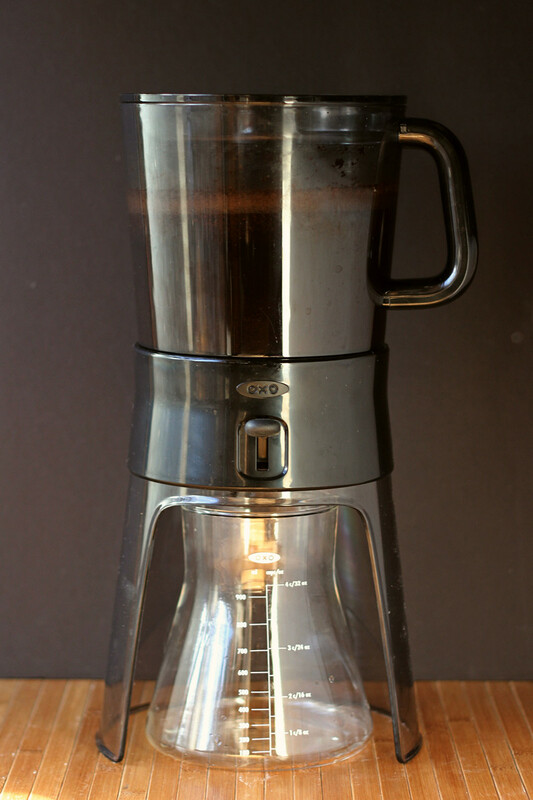 When I was a little kid, my parents had a cold brew coffee maker, and I was fascinated by it. It looked like a wacky science experiment. But back then, I didn't drink coffee, so I had no idea if it was good or not. Now that I'm a coffee-drinking adult, I've fallen in love with the cold brew method. The coffee is smoother and less bitter and ... I just like it better. And it's simple. Just add the cold-brew liquid to hot water, and you have hot coffee. Or pour it over ice, add milk or water, and you've got easy iced coffee. 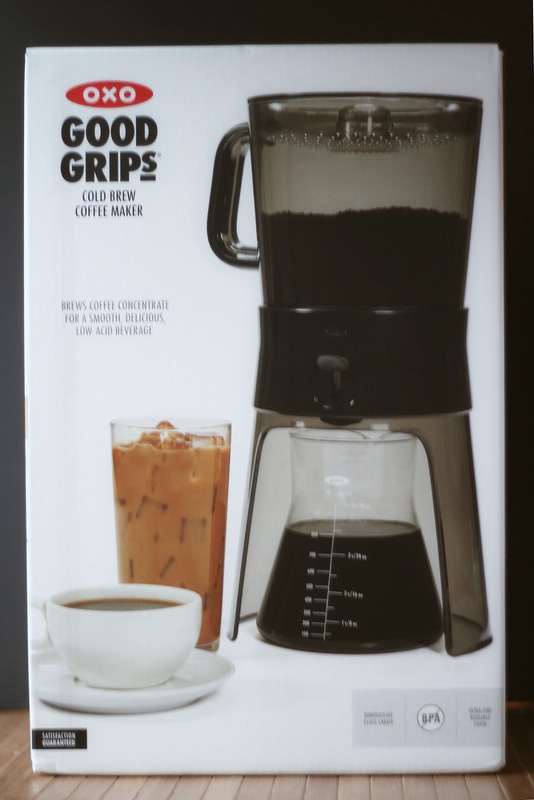 I was pretty excited to try the new cold brew coffee maker from OXO . It's a pretty simple device, but really well designed. Water goes into the top section on top of the coffee. It's suggested that you stir the coffee after a few minutes. Then it just sits overnight or up to 24 hours. The part that holds coffee and grounds sits on a base, and a carafe fits in that base, to collect the coffee when you press the lever to let the coffee drain. That lever is pretty genius. It lets you stop the draining, if you need to. Like if you want to make a cup of coffee before it has finished draining. If you absent-mindedly grab the carafe while the lever is in the draining position, the lever will flick itself into the non-draining position before you can remove the carafe. So you're not going to be dribbling coffee all over your counter. The other neat thing is the filter - there's no need for disposable filters since there's a fine-mesh metal filter. If you've got coffee with a lot of dust in it, you might get some of that in your coffee, but most of the coffees I've used haven't been all that dusty. But, if you want to eliminate even the slightest chance of dust, you can put a paper filter inside the metal filter. Since the filter is built in, when you're done you can just flip the container over and dump the grounds - no worries about losing parts. For storage, the pieces nest together pretty well, which is a big deal for me - storage space is a big deal, so being able to condense the parts to fit a smaller space is nice. The carafe that catches the coffee has a lid, so you can use it for storage, or you can pour it into any handy container you like. Or, if you don't drink a lot of coffee, you can freeze the concentrate for even longer storage. 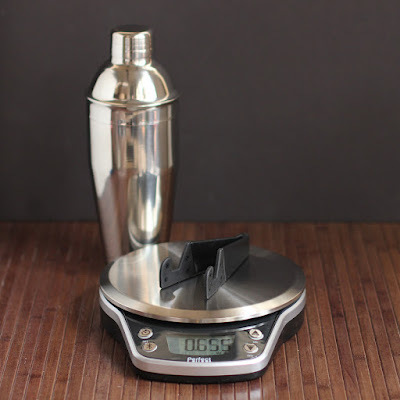 The carafe lid can also be used for measuring, if that's something you need. Who's it for: Coffee drinkers who want to try cold-brew. Pros: Easy to use and easy to clean. Cons: I wasn't crazy about the design of the carafe lid. It worked well enough, so it's a minor quibble, and other people might love it. Wishes: Nothing, really, I'm pretty happy with it the way it is. The Microplane spiral slicer is a fun tool for cutting curly shreds of vegetables. It works like a pencil sharpener - you insert the doomed vegetable and twist. There are two different holes; one is larger than the other, so you're not limited to smaller vegetables. The larger is ideal for zucchini. 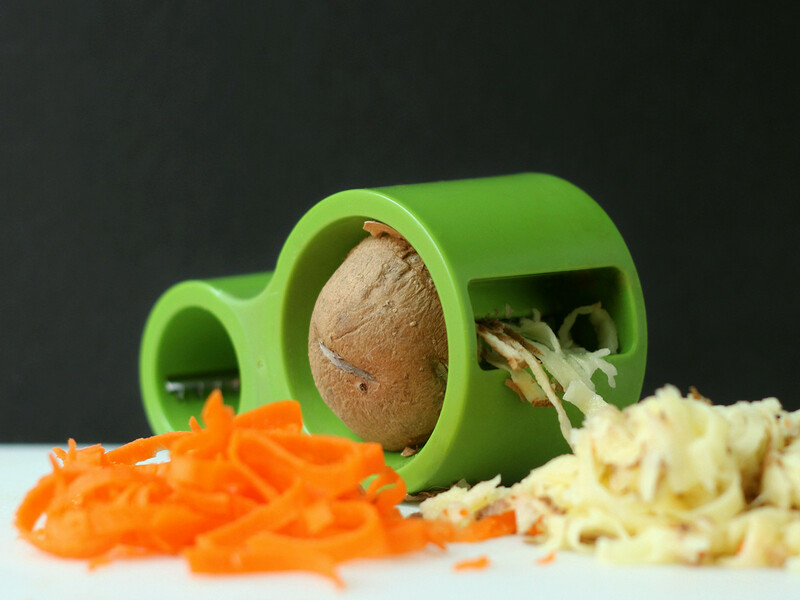 While you twist, the inner core of the vegetable comes through the hole on the far end of the cutter, so you're never going to get full shredding of a vegetable. But for many vegetables, the core isn't shred-worthy, anyway - zucchini and cucumbers are seedy in the center, and carrots have a hard center core. Then again, you needn't throw those cores away. You can slice them, dice them, or throw them in a soup. Because of that center hole, you're not going to get a lot of shreds from skinny carrots, so choose fat carrots if shredding is on the agenda, and start shredding in the fat end of the carrot instead of the skinny end. As you get down to the last few inches of the vegetable, it gets pretty difficult to keep shredding because there's nothing to hold onto. 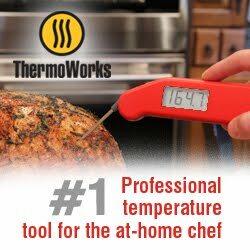 I suggest stabbing the vegetable with a sturdy two-pronged meat fork and using that to keep twisting. Or, use the rest of the vegetable for some other purpose. Pros: Just one piece - no extra parts to keep track of. Cons: If you want to spiral cut a lot of vegetables often - like you're going to serve zucchini spaghetti to a crowd several times a week - you should look at more automated methods. Wishes: I wish the smaller hole was slightly smaller, to make it more useful for thinner carrots.